Leader of the gang responsible for home invasion, brutal assault on chief rabbi of Argentina arrested in Buenos Aires. 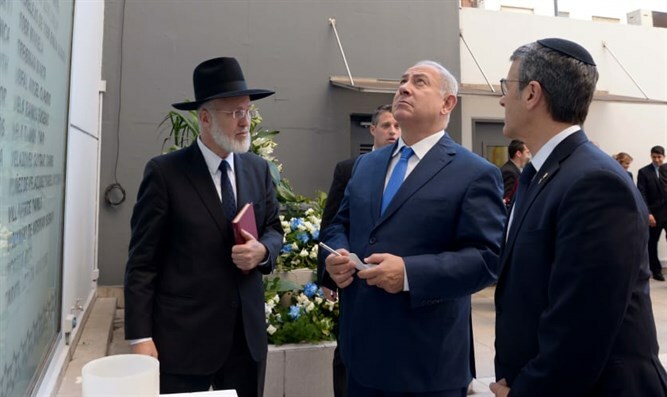 Police in Buenos Aires have arrested the suspected leader of a gang responsible for a violent attack on the Chief Rabbi of Argentina in late February. Just hours ago, local authorities arrested the gang leader and two other members of the gang, all suspected of involvement in the violent home invasion and assault on Rabbi Gabriel Davidovich in February. During the arrests overnight, police found large sums of money and valuable objects – including jewelry – which were stolen from the rabbi and his wife. The three latest arrests bring the total number of suspects taken into custody in the case to five. Last month, Buenos Aires police arrested two other suspects tied to the attack on Rabbi Davidovich. During the home invasion, the assailants told Rabbi Davidovich and his wife that "We know that you are the rabbi of the Jewish community,” leading to initial suspicions the incident may have been a hate crime, targeting Davidovich as the leader of the Jewish community. Police later said that evidence suggested the attack was not motivated by anti-Semitism, and said the investigation was not treating the case as a hate crime. Rabbi Davidovich suffered serious injuries during the attack, including nine broken ribs and a punctured lung.